But he who paints, like Raffaelli, the ragpickers of Paris in their own quarter has far more difficulties, and his work is more serious. Nothing seems simpler than painting peasants, ragpickers and laborers of all kinds, but no subjects in painting are so difficult as these commonplace figures. After a brief career in music and the theater, Raffäelli entered the renowned Parisian studio of Jean-Léon Gérôme (1824-1904) in 1871. Gérôme's reputation as France's leading academic painter, and the conservative curriculum of the École des Beaux-Arts that he promoted, seemed not to have impressed the young artist, however. Three months after his enrollment, Raffäelli ended his formal artistic training and began a self-guided grand tour of England, Holland, Italy, Spain, and North Africa. [i] These travels would prove transformative, leading Raffäelli to the revelation that the subject matter of his calling was not, ironically, to be found in foreign lands; rather, it had been in Paris all along. Though Raffäelli himself eschewed attempts to label art and artists with the terminologies then in fashion, he was embraced by nearly every contemporary artistic and literary circle. [iv] The esteemed novelist and art critic Louis-Edmond Duranty (1833-1880) upon his first view of The Family of Jean-le-Bôiteux, welcomed Raffäelli immediately into the Realist school. (The writer J. K. Huysmans [1848-1907] would famously do the same. )[v] Raffäelli's friendship with Degas (1834-1917), on the other hand, formed also in 1877, began a close association with the Impressionists - indeed, and despite significant differences in style and subject matter, Rafäelli's name was seldom absent from contemporary discussions of this group. [vi] In 1880, Degas invited Raffäelli to participate in the fifth Impressionist exhibition, along with such luminaries as Berthe Morisot (1841-1905), Mary Cassatt (1844-1927), Paul Gauguin (1848-1903), Camille Pissarro (1848-1903), and Gustave Caillebotte (1848-1904). The artist sent 34 pictures to this event, all of which were highly praised. In 1881, Raffäelli sent 33 works, among them the exceptional Les Déclassés (de Young Museum, San Francisco), with the same encouraging response. [vii] This gritty image of absinthe drinkers confirmed Raffäelli's commitment to elevating low subjects to high art, and to mining the industrial suburban landscapes of Paris for the content and colors of his oeuvre. 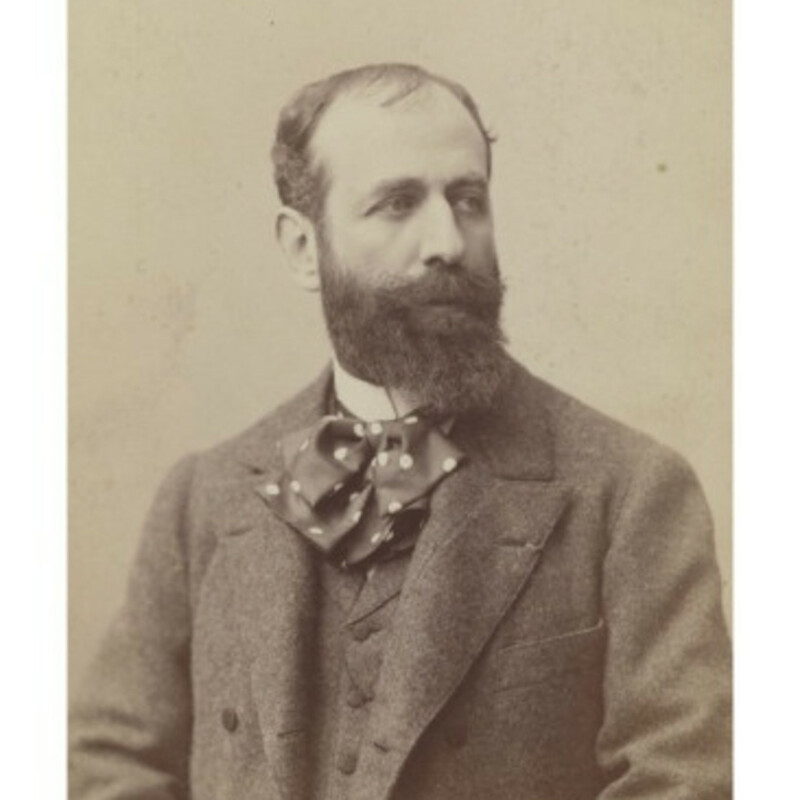 [i] Along with Corot (1796-1875), Roybet (1840-1920), and Mariano Fortuny y Marsal (1838-1874), Gérôme would nevertheless remain an influential mentor. Raffäelli's miniaturist style was often compared to that of Jean-Louis-Ernest Meissonier (1815-1891), whose work he knew and admired, and to early Dutch and Flemish art as well (see, for example, Émile Cardon, "Choses d'art: L'exposition des artistes indépendants," Le Soleil, April 7, 1881 pp. 3-4). [ii] From 1881, for example, Raffäelli regularly exhibited with the Salon des Artistes Français. [iii] Such subject matter was initially inspired by Raffäelli's 1876 trip to Brittany. [iv] Raffäelli's own interest in the printed word may be gauged by his numerous contributions to newspapers, journals, and illustrated books throughout the 1880s. [v] Huysmans' own writings would progress and shift between Realism, Naturalism, and, eventually, the more decadent qualities of Symbolism. Duranty would later become a leading proponent of the Impressionists. Of the Realists, Raffäelli once dismissively (and humorously) wrote, "[I]t was an expression as big and as false as a stage rock," (Gabriel Mourey, "The Work of Jean-François Raffäelli," The Studio, vol. 23, no. 99, June, 1901, p. 8). [vi] See, for example, "The Impressionists," The Art Amateur, vol. 30, no. 4, March 1894, p. 99. Here Raffäelli is grouped with Monet, Pissarro, Renoir, Manet, and Degas. For contemporaries' acknowledgment of the differences between Raffäelli's style and that of the Impressionists, see, for example, "Beaux-Arts: Sixième exposition des artistes 'indépendants,'" Le Petit Parisien, April 8, 1881, p. 3. Many of Raffäelli's friendships with the Impressionists began at the Café de la Nouvelle Athènes in the Place Pigalle, as well as at the Café Guerbois. Both of these were favorite gathering places of the group. [vii] Les Déclassés attracted the lavish praise of Albert Wolff (1835-1891), a critic and collector of Raffäelli's work, who saw in the artist's detached objectivity, photographic verisimilitude, and portrayal of psychological character an approach akin to the literary style of yet another contemporary group, the Naturalists. Wolff would later write the introduction to Raffäelli's most impressive illustrative achievement, Les Types de Paris (Paris, 1889). The positive response to Raffäelli's pictures in 1880 and 1881 was marred by only one, unlikely source: Caillebotte and Pissarro felt the artist's technical and stylistic priorities were too different from their own, and might exacerbate a growing rift within the Impressionist circle. In 1880 Caillebotte went so far as to refuse to exhibit alongside Raffäelli, and removed his works from the exhibition of that year. [viii] Popular with artists, the town was famously portrayed by van Gogh and in Seurat's Bathers of 1883-4, (National Gallery, London). Of such pictures, Seurat once wrote, "I am doing a Raffäelli, apparently," (Georges Seurat to Paul Signac, June 16, 1886, quoted in T. J. Clark, The Painting of Modern Life: Paris in the Art of Manet and His Followers, 1984, 2nd ed., Princeton, 1999, p. 273, note 5). [ix] See Jean-François Raffäelli, trans. Isabel McDougall, "Realist and Idealist," The Art Interchange, vol. 36, no. 1, January 1, 1896, p. 2. As Raffäelli once wrote, ""[T]here is no beauty in Nature; beauty resides in character," (quoted in Mourey, p. 8). [x] Under the ambitious urban planning programs carried out by Baron Georges-Eugène Haussmann (1809-1891) in Paris in the 1850s and '60s, hundreds of miles of small narrow streets, especially in the city center, were altered to make way for 85 miles of wide, tree-lined avenues and boulevards. [xi] Quoted in "A Talk by Mr. Raffäelli," The Art Amateur, vol. 32, no. 5, April 1895, p. 135. [xii] "I work according to the humor of the moment," Raffäelli had explained, ". . . Today I am an optimist, and my paintings . . . are joyful," ("My Note Book," The Art Amateur, vol. 22, no. 1, December 1889, p. 2). By 1889, references to forgeries of Raffäelli's works in Paris were being reported in American newspapers, testament to contemporaries' interest on both sides of the pond. [xiii] See "Works by Jean-Francois Raffäelli," Chicago Daily Tribune, August 14, 1895, p. 25.